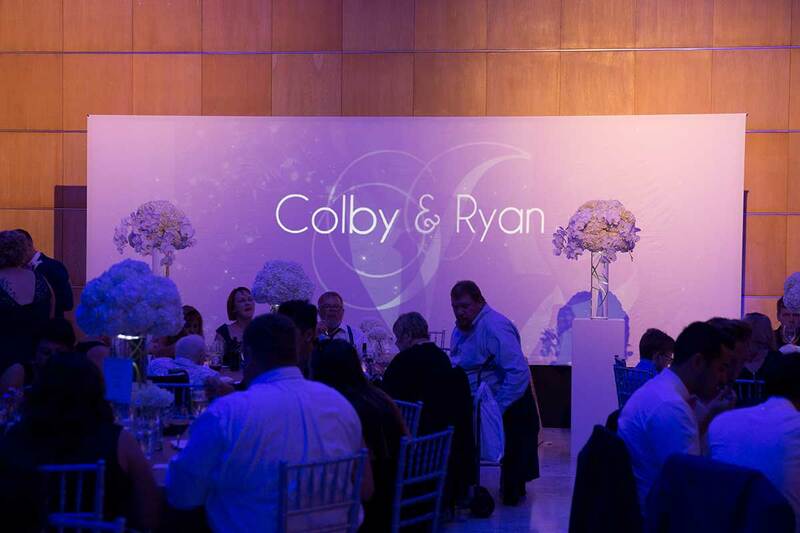 Let's start with a few basic details about your wedding reception. Remember, if you're not sure about anything, just give your best guess. If you have any questions, don't hesitate to email us or give us a call at (515) 255-3698. How many hours will you need our services? If you don't know, just give your best guess. Now, we'll just need a few details about your venue. If you haven't decided on a venue yet, just skip this step. Where is your venue located? There are a few aspects of your wedding which you may not have considered yet. We've included a few of our most typical options here. If you're having a wedding ceremony in a location that's not setup for audio (e.g. outdoors) you may want to think about audio. We can provide wireless microphones, music, and even the ability to hook in instruments should you have any live music at your ceremony. We feature a range of unique and modern video options using our one-of-a-kind infinity edge video screen. It's far from your passé pull down projector screen and Powerpoint slideshow. We have the ability to provide audio in multiple rooms or locations. A cocktail hour, for instance, may be held in a separate room and can benefit greatly from background music. 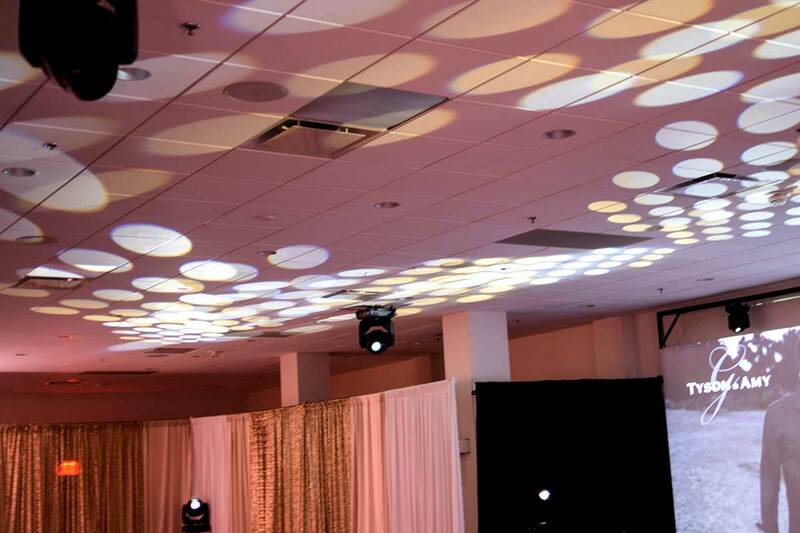 We can provide custom installations and production for lighting, sound, or video. 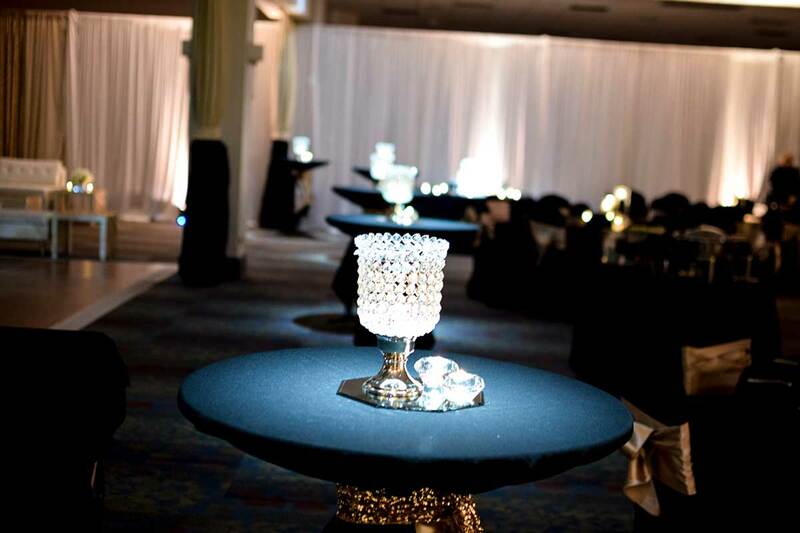 Custom installed lighting, table illumination, custom video production, and more—we can create that truly unique experience you've envisioned. Do you have any additional lighting, video, or audio requests? Do you have any other questions, comments, or details about your event? Now we'll just need a few basic details about you. We only use your information to contact you about your event or quote, we will never sell your information to someone else. It's optional, but it helps us get in touch with you. We'll need a valid email address to contact you about your quote. Thanks for requesting a quote! You should receive an email from us within a minute or so. If you don't see anything, make sure to check your spam folder. If you have any questions, feel free to give us a call at (515) 255-3698.